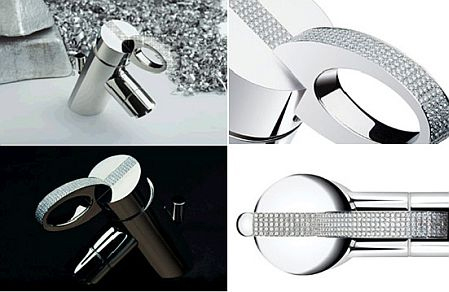 Maybe it's just the marketing and slick photography, but I can totally envision these gleaming white gold faucets in my house. 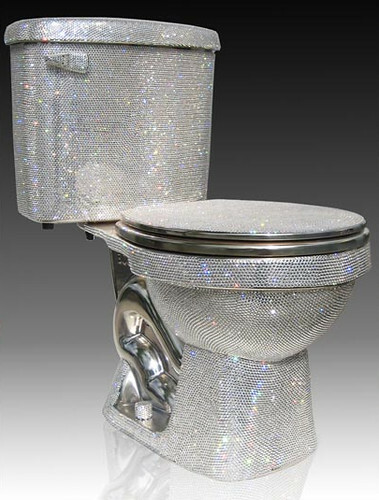 You know, right next to the mountain of diamonds I keep on my bathroom sink. Oh wait, this line of bathroom accessories is "strictly for those with the taste and means to enjoy such an exclusive pleasure." Guess I'll just take my bucket of lime and head to the outhouse -- but not without my roll of colored toilet paper from Spanish Portuguese supercompany Renova. It's only four times as expensive as regular old Charmin, but it comes in always stylish black.